Colorado Criminal Defense Strategics: The Top Ten Myths About Colorado Criminal Cases - Denver Criminal Attorney Specializing in Domestic Violence Cases - Colorado Criminal Defense Lawyer. A busy criminal defense lawyer spends a lot of time in jails talking to clients. The lawyer finds himself dispelling the same myths over and over again. The jail-house lawyers certainly have the ear of their pod-mates; what the jail-house lawyers lack, though, is any useful understanding of how to defend a criminal case. Attorney Jeffrey W. Jensen, a Milwaukee, Colorado criminal defense lawyer of twenty-three years experience, identifies the top ten “myths'” about criminal cases and then dispels those myths. 10. They don’t have fingerprints/DNA so the case must be dismissed; the State’s evidence is weak- the case must be dismissed. This myth has been around for decades but it has become more prevalent lately thanks to television programs like CSI-Miami. For example, let us imagine that a person is charged with being a felon in possession of a firearm because the police found a pistol in the closet of the bedroom he shares with his girlfriend. After the police seize the weapon they will almost always dust the weapon for fingerprints and, lately, they will also swab the weapon for DNA. In nearly every case there will be no fingerprints nor will there be DNA found on the weapon. This is because fingerprints are left only on hard, shiny surfaces. The only real hard and shiny surface on a pistol is the barrel. A pistol is rarely picked up by the barrel. Likewise, DNA is found only biological tissue. Rarely is enough biological tissue left on the handle of a pistol to permit an analysis to be performed. Therefore, the forensic analysis from the crime laboratory will likely be negative. The defendant then convinces himself that there is no way he can be convicted. This is far from the truth. In our example, a bedroom closet is certainly an area that is within the defendant’s dominion and control. All that is left is for the state to prove that the defendant knew that the pistol was in the closet. This might be done many ways- including testimony from the officers that the pistol was in plain view on the shelf of the closet and the defendant’s clothing was also found in that same closet (permitting the inference that the defendant went into the closet frequently and had to have seen the pistol there on the shelf). In any event, once the state has got past the preliminary hearing where they established probable cause, there is no way to short-circuit the process. Whereas a weak civil case might be short-circuited by a motion for summary judgment there is no procedural equivalent in a criminal case. The only way to test the sufficiency of the state’s evidence is to put the case before the jury. Do not make poor decisions about your case simply because the State lacks forensic evidence. Who knows how this myth started. It almost certainly had to do with television shows like “Hawaii 5-0” where, immediately upon being arrested, the defendant is read the Miranda warning (You have the right to remain silent . . . .) The truth is that the police are obligated to read the Miranda warning only if the suspect is in police custody and the police intend to interrogate the person. Otherwise, the police are never obligated to give the warning. Additionally, if the Miranda warning is not given the remedy in court is not dismissal. The remedy is suppression of any statements made by the defendant in response to police questioning. It is true that every person convicted of a crime in Colorado may appeal as a matter of right to the Colorado Court of Appeals. It is also true that the court of appeals reverses approximately two percent of the criminal convictions that come before. When discussing trial strategy in a criminal case do not assume that you will get another chance in the trial court after an appeal. The best strategy is to win your case before a jury. This is a persistent myth and it is rooted in the old adage that “you get what you pay for.” It is utterly untrue. The government provides many valuable services that the public does not directly “pay” for- such as public schools, police protection, and the military. The same is true of appointed lawyers in criminal cases. The state pays the fees of these appointed lawyers. They are not working for free. Lawyers who work for the office of the State Public Defender, or private lawyers who are appointed by the court are lawyers who are very experienced in defending criminal cases. Additionally, the state will provide funds for the lawyer to hire investigators and expert witnesses as necessary. The problem these days is the overwhelming workload placed on the shoulders of these same public defenders. They often do not have the proper time to research and prepare each of their cases ¨C with caseloads sometimes exceeding 200 cases ¨C they can – at times – barely keep up. 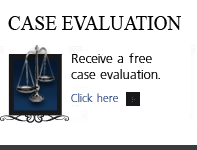 There is no doubt that it is exceedingly expensive to hire a good criminal defense lawyer. However, it does not follow that a “paid” lawyer is always better than an appointed lawyer. If a lawyer agrees to handle a serious criminal case, such as an armed robbery, for a fee that is significantly less than what other lawyers have quoted, you should be very suspicious of that lawyer’s ability to handle the case properly. There is a reason why his fee is so low. Either he is inexperienced and has no understanding of what is involved in defending an armed robbery case; or he is a bad lawyer who is willing to do anything to land a new client. In either case, you are far better off with an appointed lawyer. There is a jury instruction that tells the jury that the case is not to be decided by the number of witnesses for each side. Additionally, the jury is instructed that the burden of proving every necessary fact is upon the state. Nonetheless, defendants will frequently insist that witnesses be called for the defense no matter how irrelevant or unhelpful the testimony might be. Rarely will a defendant win an acquittal by calling a witness. On the other hand, many defendant’s have snatched a conviction out of the jaws of acquittal by calling a bad witness. Do not underestimate the damage that can be caused by an effective cross-examination. Calling a defense witness for no other purpose than to make it look good for the defendant is an invitation for disaster. For some reason drug dealers have come to believe that if they throw the bag of drugs out the window of a car, or if they throw the drugs into the bushes as the police approach, they cannot be convicted of “possession” of the drugs. See myth number ten above for a discussion of legal possession. The same is true for drugs. The only reason this myth is not number one on the list is because it does not come up as often as those myths ahead of it. It is easily the most untrue of all the myths. Make no mistake, alibi is without a doubt the worst possible defense to a criminal charge. Even if an alibi is true the defendant should consider not presenting the defense and relying, instead, on the burden of proof. Here are the reasons. Firstly, in a serious criminal case the jury takes the burden of proof very seriously. The state must prove the charges beyond a reasonable doubt and the burden never shifts to the defendant- except when a foolish defendant presents evidence of an alibi. Even though the jury is instructed not to do so, it invariably happens that if the alibi is not adequately established by the defendant the jury concludes that the defendant must be guilty because he presented a phony alibi. In other words, by presenting the alibi, the defendant has in effect shifted the burden of proof to himself. Moreover, where are innocent people usually found? They are found with their family and friends- the very people who are not credible witnesses because they have a strong motive to fabricate. As if this were not enough, the procedural law requires the defendant to give the state advance notice of an alibi defense. This permits the police to spend time looking for flaws in the alibi evidence. At trial then, instead of the defendant “poking holes” in the state’s evidence it will be the prosecutor poking holes in the defendant’s alibi. Unless you can document your alibi with records such as a passport stamp showing that you were out of the country at the time of an offense you should consider not presenting an alibi. Most of what a criminal defense lawyer does is without any substantial input from the defendant. If the defendant is in custody it is very likely that his imagination will begin run away with him if he does not frequently hear from the lawyer- especially if he listens to the “advice” being offered by his pod-mates. Rest assured, though, it is highly unethical for a lawyer to “work with state” in a criminal case. Rather, a lawyer has an ethical obligation to zealously advocate for his client. Additionally, common sense tells us that the lawyer would have no incentive to “work with the state.” If he is on an hourly fee basis the more work he performs for the defendant the more money he makes for himself. If he is a private lawyer his reputation is enhanced (and, consequently, the amount of business coming his way is increased) only if he consistently obtains good results for his clients. An additional ethical obligation that a lawyer has is to forward all offers to settle to the defendant. Therefore, even though the client has made clear to the lawyer the lawyer still must convey all offers to settle made by the prosecutor. Many a foolish client have poisoned their relationship with their lawyer merely because the lawyer came to them with an offer to settle from the prosecutor. By no means does this mean that the lawyer is operating “behind the client’s back” trying to arrange a guilty plea. Again, it is the jail-house lawyers who convince unwitting defendants that if one motion is good then twenty motions is twenty times better. If a five page brief is good then a fifty page brief is ten times better. Do not judge your attorney’s effectiveness by the volume of paper that he sends to you. A single, well-placed motion with a concise legal brief is far more effective than a sheaf of legal mumbo-jumbo that the judge will not even read. This myth is number two purely because of its importance. More suspects have talked themselves into a criminal charge than have ever convinced the police to let them go. 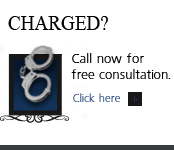 If you are under arrest and if you are subject to police interrogation it is a virtual certainty that you will be facing criminal charges regardless of what you say to the police. Why, then, would you give up your constitutional right to remain silent? Why would you potentially bolster the state’s case by offering an explanation of your behavior? In order to avoid giving a statement, though, the law requires more than simply saying that you will not answer questions. Under the well-established law, if a suspect merely tells police that he does not want to answer questions the police are allowed to attempt to “persuade” the person to answer questions. This process of persuasion can sometimes continue for more than thirteen hours over several days. And as long as there was no expressly coercive behavior by police the courts will not suppress the statement. The only way to stop police interrogation once-and-for-all is to invoke your right to counsel- that is, clearly tell the police that you will not answer questions until you have a lawyer present. This time the well-established law prohibits and further police interrogation unless and until the suspect has been provided legal counsel. Any violation of the bright line rule will result in suppression of the statement by the court. This myth is number one because it is critically important and it occurs in virtually every criminal trial. In fact, a person charged with a crime has not only a constitutional right to remain silent but he also has a constitutional right to testify- and the law requires the judge to inform the defendant of these rights during the course of the trial. If a defendant does not testify the judge will instruct the jury that every defendant has an absolute constitutional right not to testify and that the jury may not consider the defendant’s decision not to testify in any way during their deliberations. On the other hand, if the defendant does testify the judge will instruct the jury to consider his testimony in the same manner as any other witness. What makes this myth quite thorny is the fact that it, like many myths, has a grain of truth in it. It may very well be true that if the defendant does not testify the jury may wonder what he is trying to hide. It is far better, though, that the jury merely suspect that the defendant is guilty than it is to put the defendant on the stand and inadvertently confirm the jury’s suspicion (see above about the dangers of cross-examination). As discussed in earlier sections, juries do take seriously their obligation to hold the state’s its burden of proof beyond a reasonable doubt. I do not believe that a jury will disregard the judge’s instruction about the constitutional right to remain silent. I tell my clients that if I recommend that they testify it is because I have come to believe that the State has met its burden of proof and we have nothing to lose by the defendant testifying (i.e. there are two out in the bottom of the ninth and we need a grand slam). Therefore, if at all possible, resist the temptation to testify at your criminal trial. 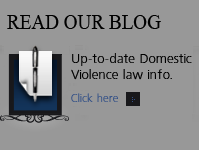 * This article was so well written by Milwaukee Criminal Defense Attorney Jeffrey W. Jensen – that I have reprinted it here with his permission with only some minor changes ¨C I publicly would like to thank him for his excellent work.